This track (and the entire album) is Thirty Seconds to Mars becoming Imagine Dragons. What can I say about this one? I was an avid fan of the band way back when. 2005’s “A Beautiful Lie” and 2009’s “This is War” were the wonderful sort of overly-dramatic teen fare of the time that no aspiring emo could get enough of. 2018’s AMERICA is not that. At all. Ever. 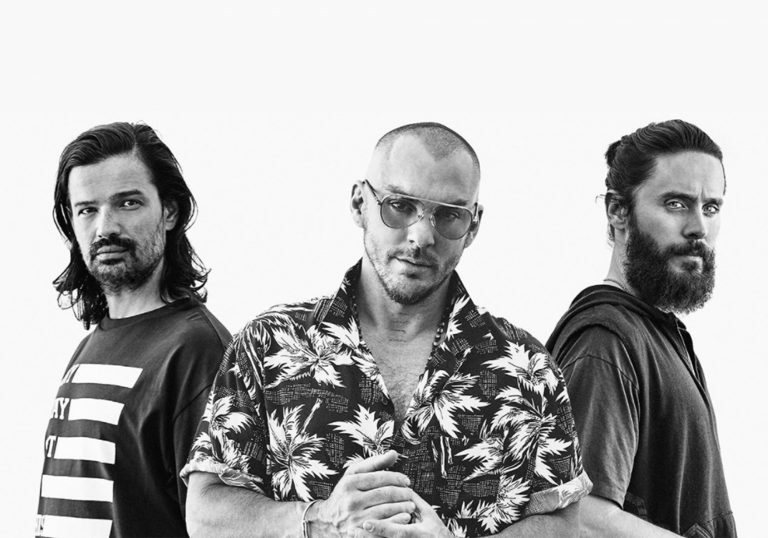 Thirty Seconds to Mars have apparently gone from assailing our senses with Deftones-level walls of sound to ooohhhhing and aaaahhhhing at us with, frankly, derivative tunes. It pains me to air my dislike of their most recent releases, but “Walk on Water” pains me more to listen to. It’s not even that it’s a bad song. It’s an average track overall. It’s just dwarfed by the band’s first 3 albums and drastically less tech-rock than it is EDM-pop. I know they’ve still got some rock in them, but this ain’t it. “Can you even see what you’re fighting for? Considering the fact that their lead singer has literally played the joker at this point, a little more craziness from them seems like very little to ask for. Oh well. Without pitting them against their own past, this track is a fairly straightforward EDM experience. There’s a strong gospel element underlying it, especially in the chorus, and oodles of tension-building throughout the verses. Save for Leto’s voice, though, I’d be hard-pressed to identify it as a Thirty Seconds to Mars single. Thirty Seconds to Mars have apparently gone from assailing our senses with Deftones-level walls of sound to ooohhhhing and aaaahhhhing at us with, frankly, derivative tunes. A fairly straightforward EDM experience, but way less rock than there ought to be.